CEO John Seifert says the U.S. will immediately adopt a single P&L, with other countries to follow - Ogilvy PR's global CEO Stuart Smith is part of the transformation team. 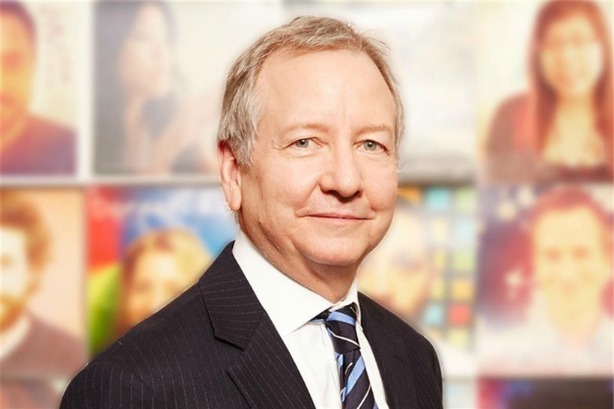 John Seifert is worldwide CEO and chairman of WPP's Ogilvy & Mather. NEW YORK: The global array of Ogilvy brands is consolidating into "a single, branded, integrated operating company," according to Ogilvy & Mather Worldwide chairman and CEO John Seifert. Ogilvy PR global CEO Stuart Smith is part of a transition team working directly with Seifert as a "global enterprise leader" who will activate the changes over the next 12 months. Smith also takes on additional responsibility for the overall management and transformation of Ogilvy's West and DC operations. "He [Smith] has ongoing responsibility for the domain of Ogilvy PR," Seifert told PRWeek. The collapsing of brands that is now taking place in the U.S. will be reflected globally over the next year. "It’s a beacon for rest of the worldwide network," Seifert said. "Every market in the world is working on a plan." That means standalone brands like Ogilvy & Mather, Ogilvy One, and Ogilvy PR will disappear in favor of a single, unified business and brand presence. Ogilvy PR's global CCO and head of media relations Jennifer Risi becomes global communications officer of the new "One Ogilvy" structure and the PR division's chief business development officer Suresh Raj takes on the role of global chief business development officer. Smith told PRWeek: "This is very desirable and, frankly, inevitable. I joined Ogilvy because I wanted to be inside the only organisation that could complete the 'integration experiment.' The truly good growth globally, in the U.K., Asia, and now in the U.S., is coming from selling our services to the CMO in an integrated way. "The future of what we do in an earned media sense is working with the CMO on integrated campaigns. CMOs want their creative ideas optimized for earned media." Seifert told PRWeek the goal of the restructure is to take the individual disciplines, including PR, advertising, and customer engagement, and bring them all together into a diverse set of integrated skills and capabilities. Seifert told the firm's PR staffers they were "more vital than ever" because "we want to deploy the skills, services, and tools you are using in a more integrated horizontal context for the Ogilvy enterprise as a whole." What the division is called will evolve over time, but "vertical businesses in a matrix structure will disappear," added Seifert. Seifert told PRWeek: "Our PR capabilities are growing faster than just about any other part of the company... somewhere between 5% and 10%... and PR skills are in more demand than ever." He added that collapsing the disciplines into one integrated structure will "super charge" that growth. The move is an effort to clear away internal structures within the greater Ogilvy organization, removing P&Ls, management, and marketing capabilities that were being replicated across the network and made collaboration more difficult. Ogilvy PR's quarterly revenues will still be reported as part of WPP's PR category. "We're working with WPP now on how best to report our overall financial performance in the sector breaks they look at us in," Seifert told PRWeek. "Rather than trying to manage 10 different Ogilvies as separate businesses and then trying to figure out how we then connect those businesses for the good of the client," Seifert said, "we are now saying, ‘Let’s start with the client.’"
The consolidation plan began to form 18 months ago, when Seifert told WPP CEO Martin Martin Sorrell he wanted to unify Ogilvy within WPP Group. "I felt we had become a bit of a holding company within a holding company," Seifert said. He told PRWeek: "We're getting back to a proposition for the overall brand of Ogilvy that will be compelling and authentic to where we started the company under David [Ogilvy] in 1948." He added: "Our clients have told us it's too complicated working in the operating structure that's been built up over time. They want a simpler, more seamless access organization to do business with. They don't want us to show up with 17 business cards." When asked if he was worried about an increase in potential client conflicts under the new structure, Seifert told PRWeek the firm would provide safeguards clients need as required but that "most conflict issues center around people and place - and we feel very confident we'll be able to work through those issues." "We don't feel a separate P&L is what defines conflict mitigation for most of our clients," he added. While reorganizations like this typically lead to layoffs of redundant workers, Seifert said he didn’t anticipate that staffing levels would be "fundamentally altered," citing an increase in project-based work, though he wouldn't completely rule out job losses. "There is some duplication, and we're going to do everything in our power to reduce that, but we're not doing this because we think it's a big cost-saving [exercise]," he told PRWeek. In October, Seifert hinted to PRWeek's sister title Campaign UK that Ogilvy would be paring down its brands, a move that mirrors Publicis Groupe’s "Power of One," an attempt to streamline interactions for clients by offering a single point of contact that can pull resources from across the Publicis network. This story first appeared on PRWeek's sister title Campaign US. It was supplemented with further information, especially about implications for Ogilvy PR, after a follow-up interview with John Seifert and Stuart Smith.